6 Rocks signed their National Letter of Intent to play athletics in college on November 8, the first day of the NLI signing period. 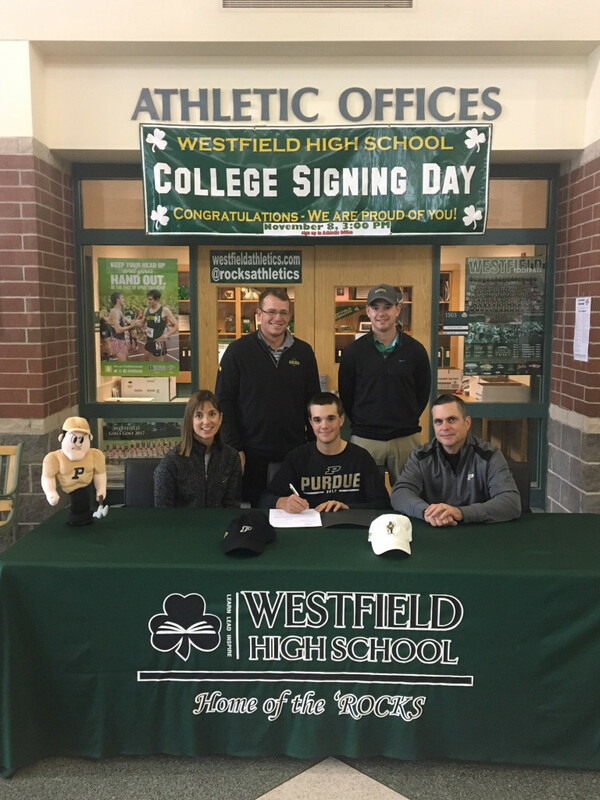 Andrew Lewis has signed his letter of intent to play golf at Purdue University. Andrew is a 3 year letter winner on the boys golf team and will lead the team heading into the spring season. 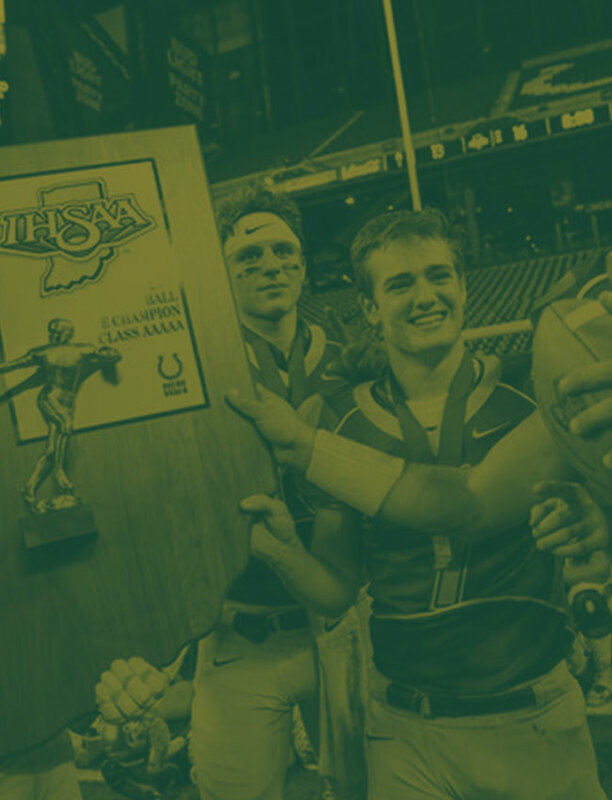 He helped lead the Shamrocks to two IHSAA State Championships in 2015 and 2016 and was a member of the all-state team in 2017. In 2016 he was named a Rolex Junior All-American. At Purdue, Andrew plans to study Finance or Accounting. Congratulations Andrew! 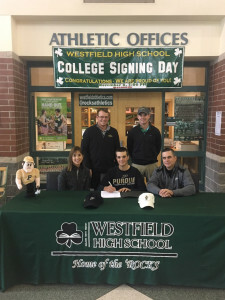 Pictured above are Andrew’s Parents Chris and John Lewis (sitting) along with Josh Bryan-Varsity Head Coach and Max Niehans-Varsity Assistant Golf Coach (standing). Claire Hindman has signed her letter of intent to play volleyball at Trevecca Nazarene University in Nashville, TN. Claire is a 3 year letter winner and helped lead the Rocks to a Sectional Championship her junior year. 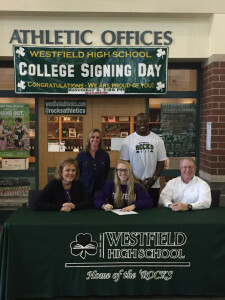 At Trevecca Nazarene, Claire plans to study Sports Marketing. Congratulations Claire! Pictured above are Claire’s Parents Maureen and Dan Hindman (sitting) along with Michele Mapes-Hewitt-Varsity Head Volleyball Coach and Tavio Henson-WHS Strength Coach (standing). 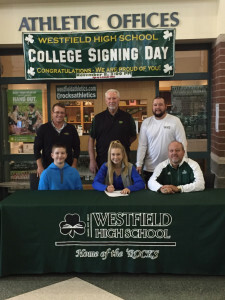 Kelsey Powers has signed her letter of intent to play softball at Concordia University-Wisconsin in Mequon, WI. Kelsey is a 3 year varsity player and was defensive MVP her sophomore year and offensive MVP her junior year. She broke the school’s homerun record her junior year and was named All Hamilton County and Honorable Mention All Hoosier Crossroads Conference. Kelsey plans to study Exercise Science at Concordia. 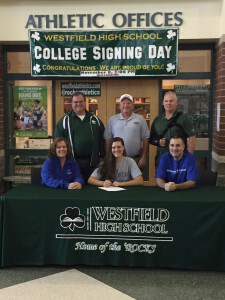 Congratulations Kelsey! Pictured above are Kelsey’s parents Jan and Charles Powers (sitting) along with Brian Revercomb-Varsity Head Softball Coach, Kevin Schmidt-Travel Softball Coach, and Boyd Minton-Varsity Assistant Softball Coach (standing). Cailyn Henderson has signed her letter of intent to play golf at the University of Indianapolis (UIndy). 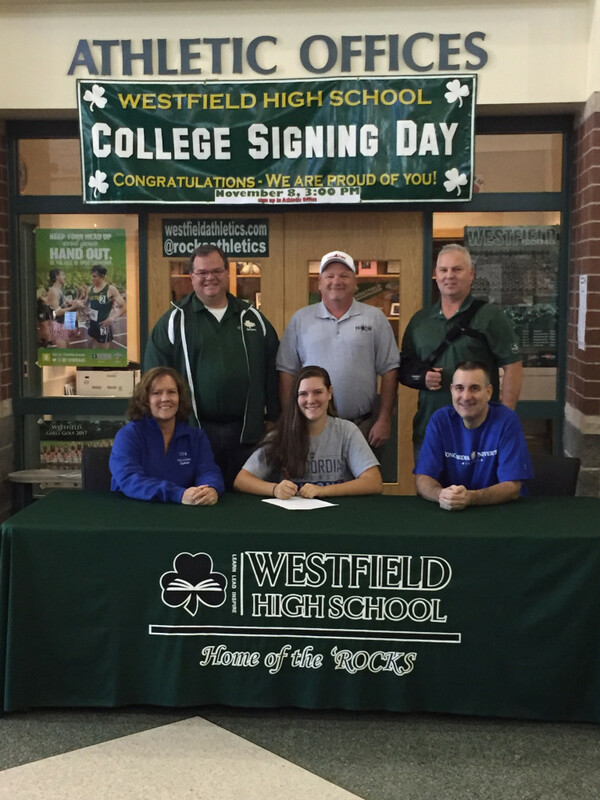 She helped lead the Rocks to 3 consecutive IHSAA State Runners Up finishes and earned All-State all 4 years. As a freshman she was the individual IHSAA State Runner Up. Cailyn was also name to the All-State Academic Team. 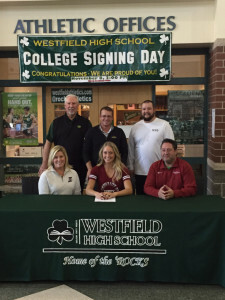 At UIndy, Cailyn plans to study Physical Therapy. Congratulations Cailyn! Pictured above are Cailyn’s parents, Amy and Rich Henderson (sitting) along with Scott Evans-Varsity Assistant Golf Coach, Josh Bryant-Varsity Assistant Golf Coach, and Trevor Neu-Varsity Head Golf Coach (standing). Adrienne Montalone has signed her letter of intent to play golf at the University of Illinois at Chicago. She helped lead the Rocks to 3 consecutive IHSAA State Runners Up finishes and earned All Hoosier Crossroads Conference all 4 years. At UIC, Adrienne plans to major in Sales. Congratulations Adrienne! 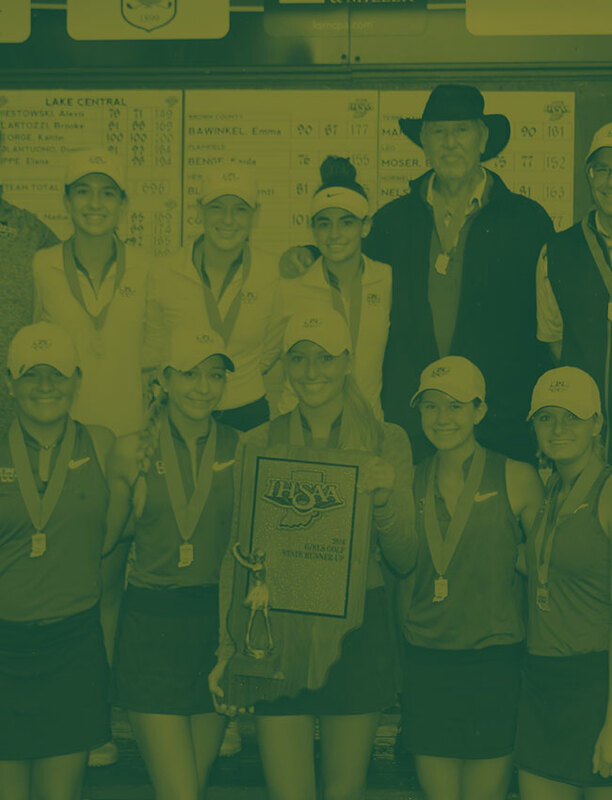 Pictured above is Adrienne’s broth, Carson Montalone and Adrienne’s Father, Joe Montalone (sitting) along with Josh Bryant-Varsity Assistant Golf Coach, Scott Evans-Varsity Assistant Golf Coach, and Trevor Neu-Varsity Head Golf Coach (standing. 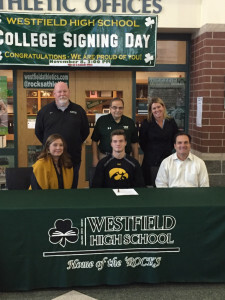 Peyton Haack has signed his letter of intent to run Track and Field as a Decathlete at the University of Iowa. Peyton holds the school record in the pole vault and also as a member of the 4×400 Relay. In addition, he finished 3rd and 4th in the nation the past 2 years in the USA Track and Field Decathlon. At Iowa, Peyton plans to study Business. Congratulations Peyton! 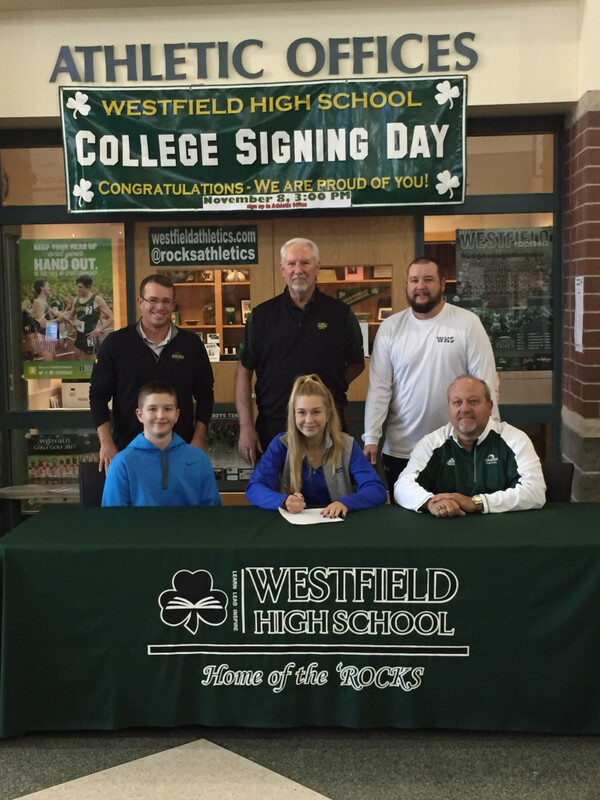 Pictured above are Peyton’s parents, Jill and Erik Haack (sitting) along with Roger Wachtel-Varsity Track Head Coach, Bob Orr-Varsity Assistant Coach, and Shauna Nosler-Varsity Assistant Track Coach (standing).